Foster healthy, active and involved lifestyles for all Richmond residents, with emphasis on physical activity, healthy eating and mental wellness. 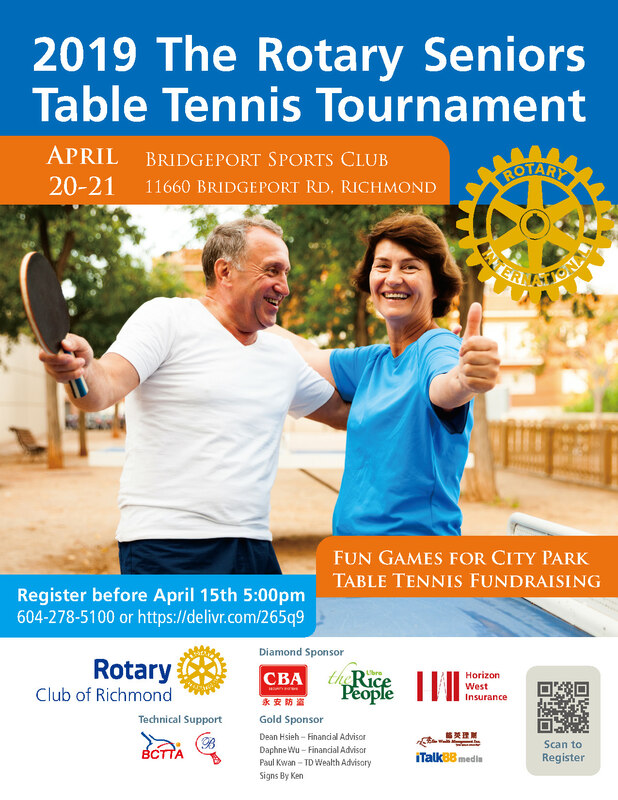 Fun Fundraising to purchase and installation of outdoor table tennis tables in City Parks, which will enhance physical and social connectedness within and among neighbourhoods and communities. One Event $35, Two Events $50 , Three Events $60 (each player will receive a T-shirt), see registration form for categories. 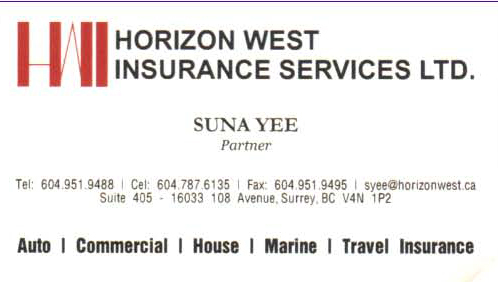 Gold Sponsors: Dean Hsieh – Financial Advisor; Daphne Wu – Financial Advisor; Paul Kwan – TD Wealth Advisory; Angela Fok – Financial Advisor; Signs By Ken; iTALKBB . We will host a 10 course dinner at Continental Seafood Restaurant - 11700 Cambie Road, Richmond, 6 pm cost $80. ( Donation Receipts $30 ) Please RSVP to suna.yee@gmail.com.